In November 2017, the American College of Cardiology and the American Heart Association released a new guideline for determining healthy blood pressure. Previously, the optimal blood pressure for individuals without chronic conditions was having systolic readings at or below 120mmHg, and diastolic readings at or below 80mmHg (120/80mmHg). A measurement at or above 140/90mmHg was a high pressure reading, while a prehypertension reading was between 121-139mmHg over 81-89mmHg. However, the clinical significance of prehypertension was vague, and a guideline with concrete definitions was called for to raise the public’s awareness to hypertension. In the new guideline, a reading is high blood pressure when it is 130mmHg/80mmHg or above. Specifically, a reading between 130-139mmHg/80-89mmHg falls in the category of stage one hypertension, and at or above 140mmgHg/90mmHg is now a stage two hypertension reading. This new classification reflects the finding that the age of individuals developing high blood pressure is becoming younger. Furthermore, strategies for prevention and early intervention are the preferred public health initiatives compared to relying on expensive medical treatments and medications. For individuals diagnosed with stage one hypertension, the first line of intervention includes education, self-monitoring, nutrition, and lifestyle modifications. By supporting self-management at this stage, it will reduce the risk of developing stage two hypertension. However, individuals with readings that fall under stage two hypertension should seek immediate medical attention and discuss treatment options with a health care provider. With this updated guideline, many more individuals will now be living with high blood pressure, and it is becoming increasingly imperative for people to manage their blood pressure. A key to self-management is knowing the numbers, and how the readings vary with lifestyle factors such as diet, alcohol consumption, stress, physical activities and medications. Having a reliable blood pressure monitor that travels well and can upload and track readings on a smartphone is a great start for self-monitoring. Chronic high readings may indicate a need to consult with medical professionals, adjust treatment plans, or change the lifestyle. The Public Health Agency of Canada and the Heart and Stroke Foundation recommend engaging in physical activities for at least 2.5 hours a week as an effective way of managing blood pressure. These activities may include going for a brisk walk, a jog, a run, or a swim to work up a light sweat. It is best to warm up, pick up the intensity for about 10 minutes or more, rest, and repeat. Another important factor in managing blood pressure is eating a healthy, balanced diet that is low in sodium, saturated and trans fats. Sodium retains water in the blood stream and raises the blood pressure. Cutting-back on the amount of table salt used in cooking is a start to reducing sodium consumption, but many processed foods such as cured meats, potato chips, and canned meats and vegetables may also have a high sodium content. 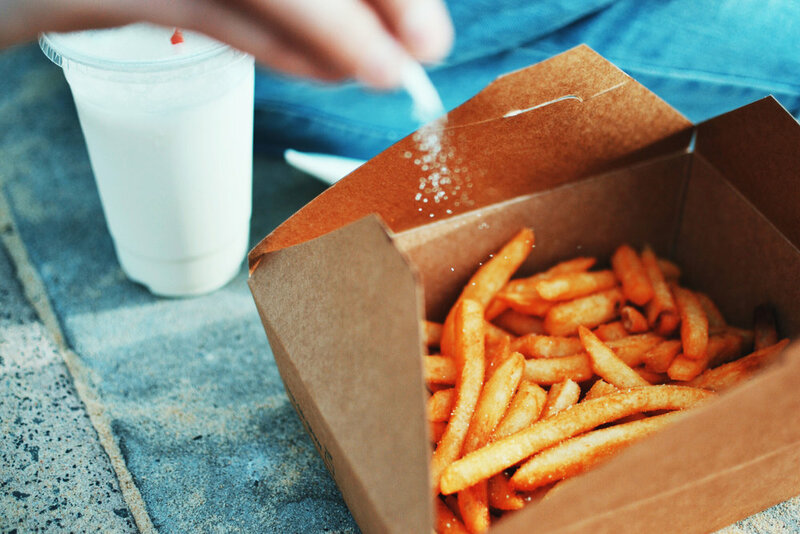 Limiting the consumption of these processed foods is integral to maintaining optimal blood pressure. Although the new guideline puts more people at a higher risk of hypertension, understanding the factors that can affect blood pressure and changing habits are simple and affordable solutions to mitigating the risk of hypertension. Disclaimer: The content and information in this post should not replace the advice and recommendations from your care providers. Talk to your doctor if you have questions about your health, hypertension and blood pressure.